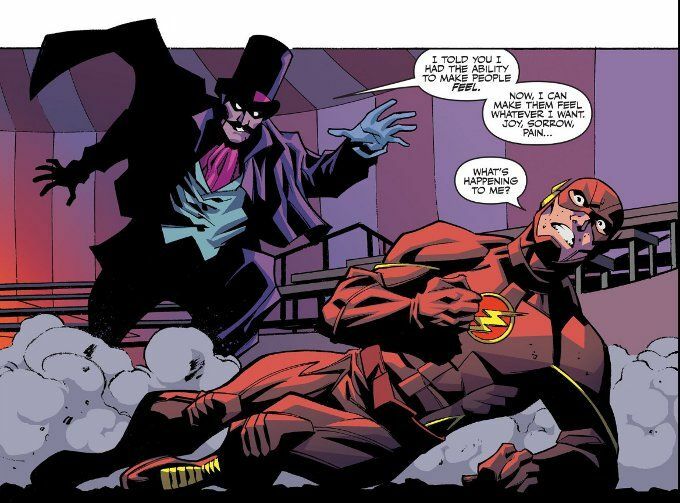 The good news is The Flash has tracked down the circus performers who have been committing crimes all around Central City. The bad news is that all of them are metahumans and their leader - the ring-master Mister Bliss - had his natural talent for manipulating a crowd transmuted into an empathic ability to manipulate emotions and cause hallucinations. 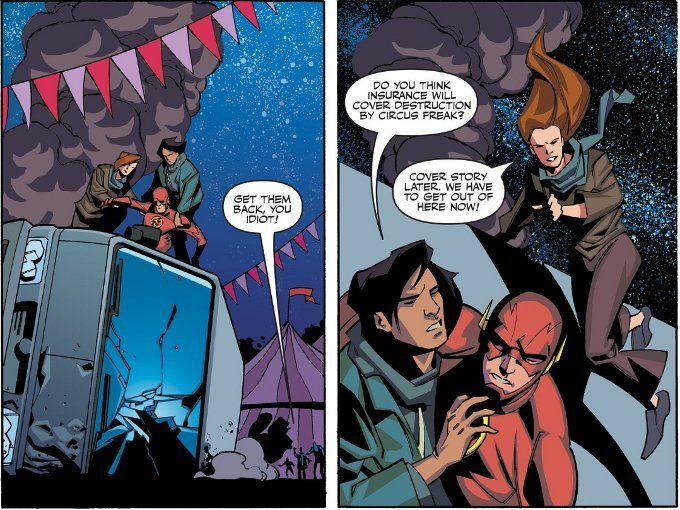 Thankfully, Cisco and Caitlin are on-hand to pull-off a speedy getaway when Barry fall into a catatonic state. But what hope do they have against a gang of super-freaks? This story-line is an interesting one for me to read as a fan of the Starman series which inspired the character of Mr. Bliss. There, Bliss was a literal demon - an incubus who fed on the suffering of others that had a particular fondness for the suffering experienced by circus freaks who didn't want to be stared at. This Bliss possesses the same powers and personality but is all too human. It's a new wrinkle that helps separate this carnival of criminals from the Circus of Crime from Marvel Comics. The artwork by Phil Hester and Eric Gapstur is still a mixed blessing. Hester's a great artist when it comes to horror and Gapstur does a fine job when enhancing the darker moments of this story and the hallucinations caused by Bliss' power wonderfully. But the scenes that don't require dramatic shading seem indistinct and half-finished. Again, I have to voice my love for Hester's artwork but wonder if he's really the best artist for The Flash or if he might benefit from being paired with a different inker.